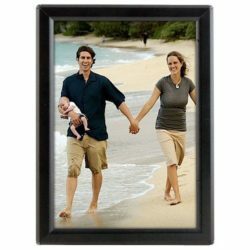 Overall Size: 15.47" x 21.46"
Viewable Area: 10.39" x 16.38"
Packing Size: 17.72" x 24.41" x 2.76"
Poster size is 11×17, mounts vertically or horizontally. 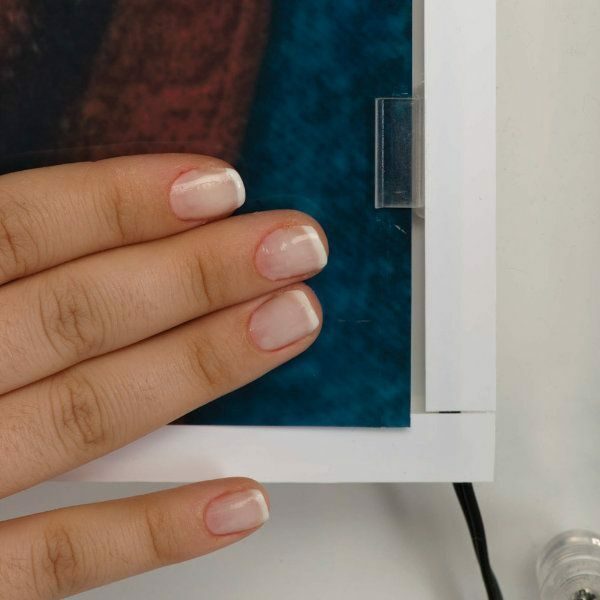 You can change the sign, the poster on the wall, without having to take the acrylic LED snap frames off the wall. 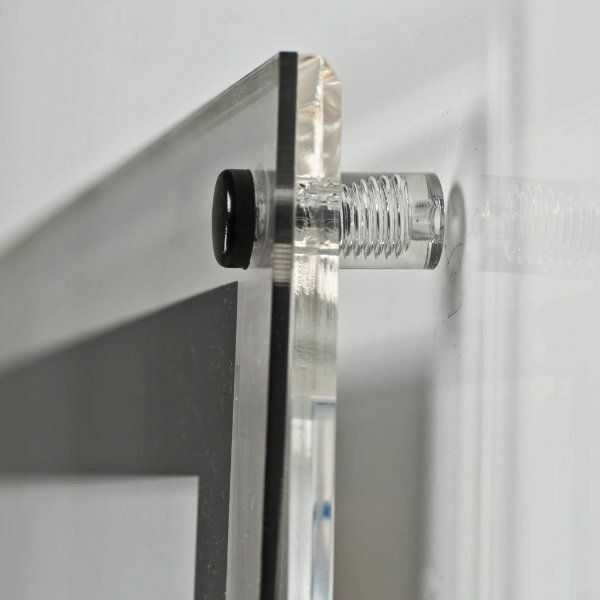 Wall mounting hardware is supplied with each frame. 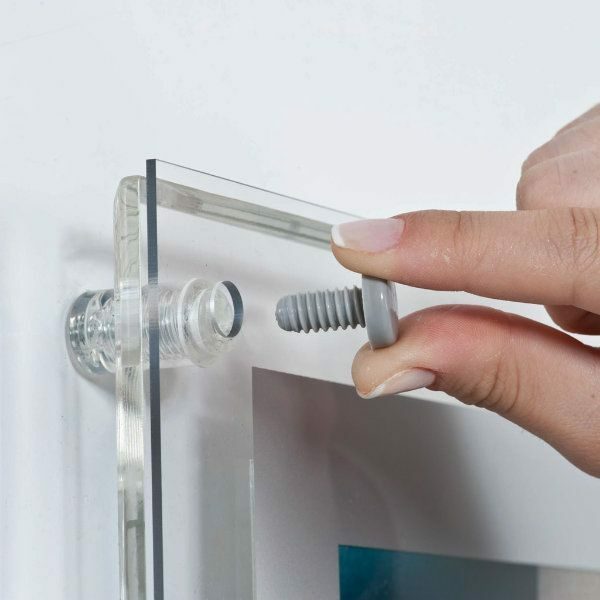 Simply unscrew the standoff fixtures, lift the acrylic cover, slide your sign into clear clips and place the acrylic cover back down. Black printed square cover completes the look. 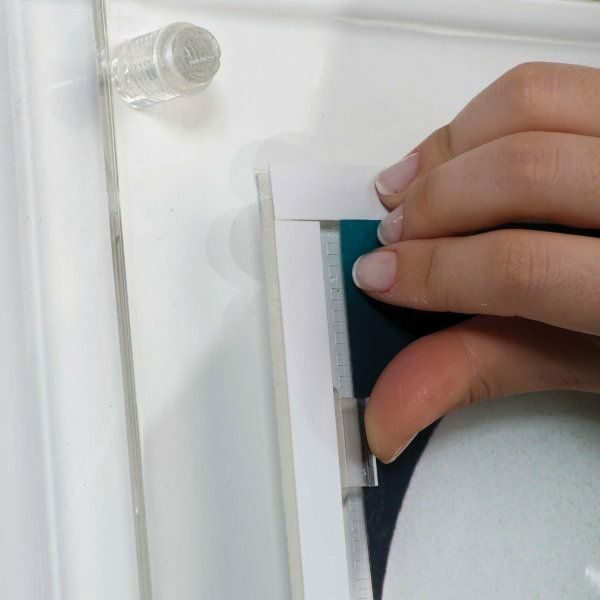 By its easy and quick use, wall mounted acrylic LED box is an ideal solution for frequently changing signs. 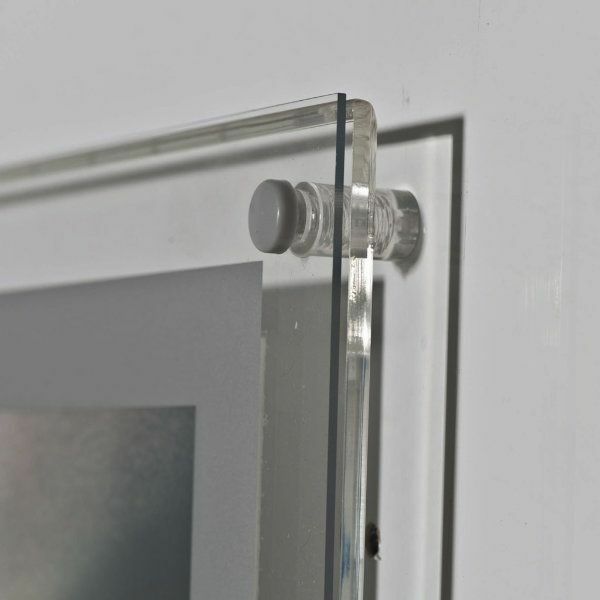 The frames accept posters and paper signs up to 0.008 inch thick. 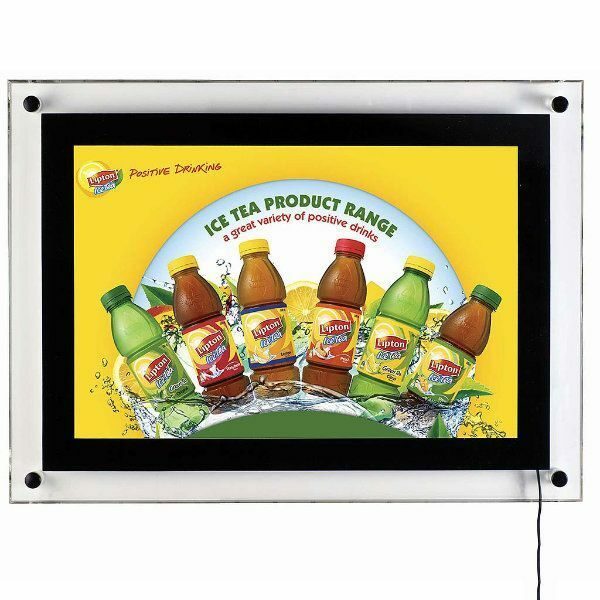 Acrylic light box signs are high-end and attractive custom solutions for a wide range of indoor applications. 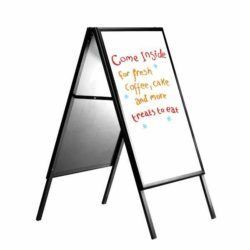 These ultra slim acrylic frames take up little space, while the brightly illuminated display captures the attention of passersby. Power cord length is 98.43 inches. Average lux range is 2400-2600. Power consumption is 18W/1.44A. 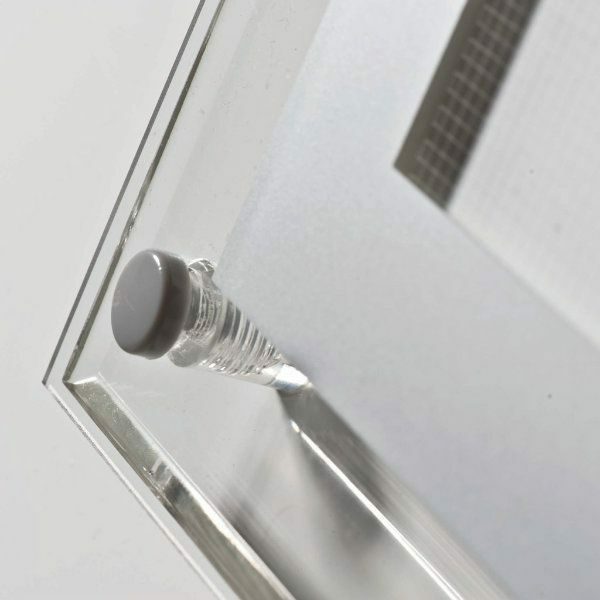 High illumination is achieved by specially treated acrylic and provides a homogenous illumination. The LED boxes saves up to 60% energy costs. 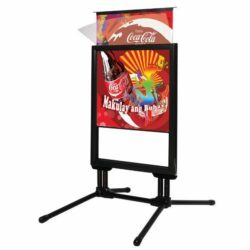 They consume less energy since their LED lighting is lower voltage compared to other signage display frames in the market. FCC and UL certified, PAT tested. 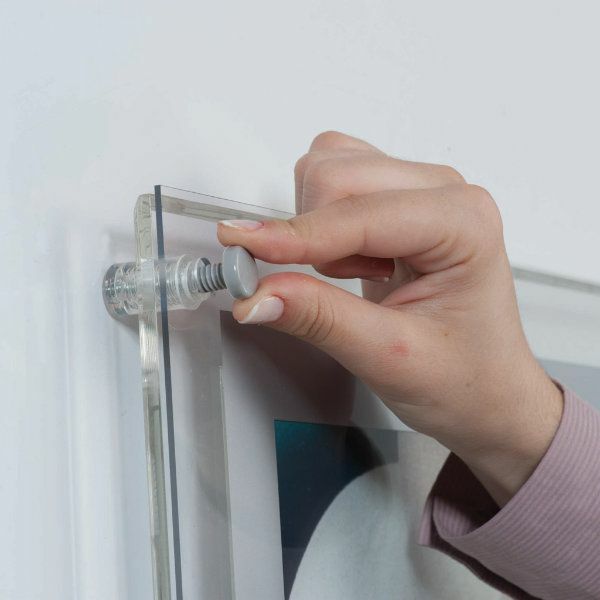 LED bulbs are edge lit and embedded, not visible from outside. 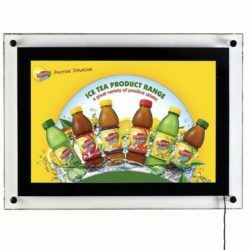 Clear LED light boxes provide an aesthetic of radiance and striking visual appeal that will always capture the customer’s attention. 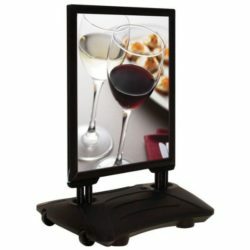 These LED boxes will get the attention of consumers easily wherever it is mounted.